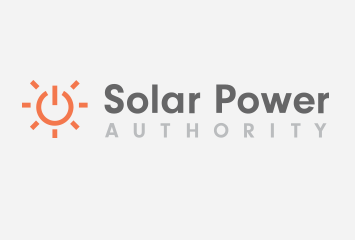 Note, this article was previously published at https://www.solarpowerauthority.com/home-solar/nv/ that article has been updated and refocused, visit the page to learn more or read on for older resources. Nevada’s Energy Portfolio Standard declares that by 2015, state’s total energy should be 20% derived from renewable sources, and in it 5% must come from solar energy. This declaration came with an incentive for power companies; Government will approve their application for credit. This credit will be calculated from the total number of renewable kilowatts they will generate. Government has shown enormous interest in solar energy by keeping the largest credit for Solar Power, $2.4/KW precisely. The Nevada’s law has gone through some amendments to encourage people to use renewable energy sources including solar power. To summaries the matter, Database of State Incentive for Renewable & Efficiency (DSIRE) puts it here “In the special session of June 2005, Nevada passed Assembly Bill number 3, which included provisions for a partial abatement of property taxes for property that has a building or structure that meets or exceeds the United States Green Building Council’s LEED Silver rating system. The partial abatement was for duration of not more than 10 years and was not to exceed 50% of the property taxes due.” The Buildings categorized as Silver Level can receive 25%, Gold Level 30% and Platinum Level 35 % abatement of tax. All this proved to be a very successful measure, as of June 2007 around 63 million square feet had applied for tax abatement. Nevada Solar One is the third largest concentrated solar power plant in the world. With approximate development cost of more than US$260 million it became operational in June 2007. It successfully demonstrates that solar power generation is feasible on a commercial scale. It generates electricity without almost emitting any CO2. And it proudly makes Nevada the largest per-capita solar energy generator in U.S. Under Power purchase agreements (PPAs), Nevada Power Company and Sierra Pacific Power Company have purchased the entire electricity generated by the plant. The PPAs make sure that electricity is produced in reasonable rates. Some informative videos can be appreciated on the web here. ACCIONA’s Nevada Solar One plant. It is the renowned installation of the Air Combat Command (ACC) located in Nellis, Nevada; it trains U.S. and foreigner aircrews. 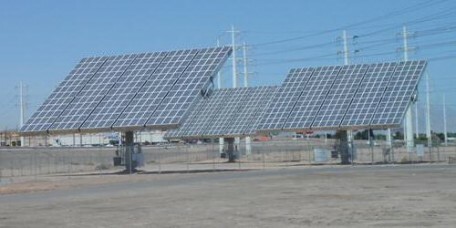 It is spread across over an area of 11,300 acres and has many photovoltaic plants; the largest Nellis Solar Star is of 140 acre. 72,000 solar panels produce Zero-CO2 emission which is equivalent to removing 185,000 cars from the city. The plant is owned by MMA Renewable Ventures, and generates 14 megawatts of electricity thus demonstrates how much abundant resources U.S. have of renewable energy. Apart from state’s rebate, Solatron Technologies, Inc offers customer an additional U.S $400 rebate per PTC (PV USA Test Conditions) rated kilowatt. It has introduced programs like SolarGreenBacks, which offers additional cash rebate from U.S. $150 to $400, depending upon the option chosen by the customer. NV Energy is a well known company that has served customers in northern Nevada and northeastern California for over 150 years, and southern Nevada since 1906. It offers many deals for renewable energy and for solar energy it has SolarGenerations that offers rebates to customers for using photovoltaic systems on their houses, businesses, buildings, churches and schools. Rebates for residential customers will be $2.30 per watt, up to 5,000 watts. The maximum rebate available is $11,500. Small business customer rebates will be $2.30 per watt, up to 30,000 watts. The maximum rebate available is $69,000. UNLV offers courses so that students eager to know about renewable energy may get clear idea about its importance. There are many projects that the university is participating in, offering new dimensions to renewable energy. This original article originally appeared here. There are many projects going on in Nevada involving solar energy, there is a map that clearly depicts the location of these currently running projects. By going through the map it can easily be realized that Nevada is fully utilizing the potential it posses in the solar energy area. All the districts in Nevada are required to use renewable energy sources including solar energy whenever they are about to reconstruct the schools. Take an example of Clark County School District that has used all the renewable and innovative technologies including solar energy which has turned it into one model school of its district. The web offers all the details about its ongoing projects. There are many companies offering products and services about solar energy in Nevada. A few important companies are listed below.